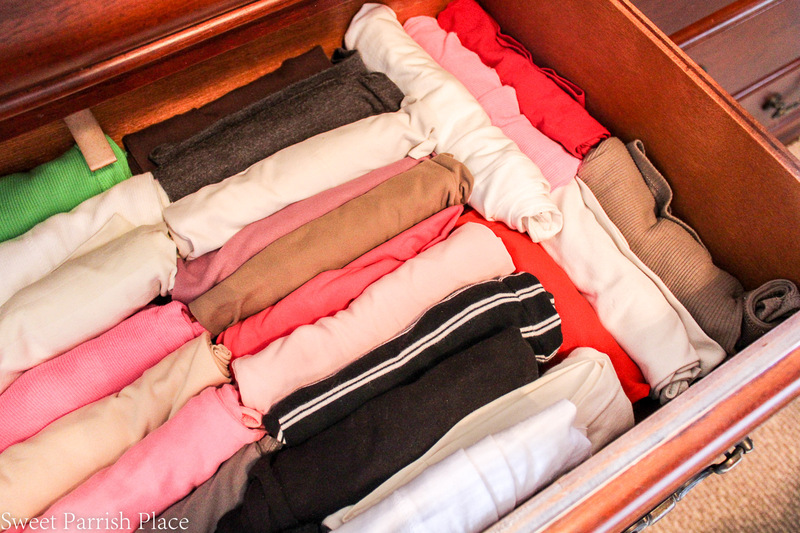 Today I’m sharing 5 ways to organize your drawers. Hey friends! Are you looking forward to having a nice long labor day weekend? I sure am, but still feeling all of the feels for all of the people in Houston who have been affected by Hurricane Harvey. My thoughts and prayers are with them all. 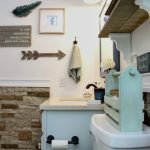 Today I am introducing a new series to the blog called Clean and Tidy Friday. In my world it rhymes, because my father pronounces Friday as if it rhymes with tidy, and I have heard him say it that way for my whole life. Do any of you pronounce Friday (or any day) that way like he does? And this first idea comes from me, myself, and I. This is a simple yet effective idea. 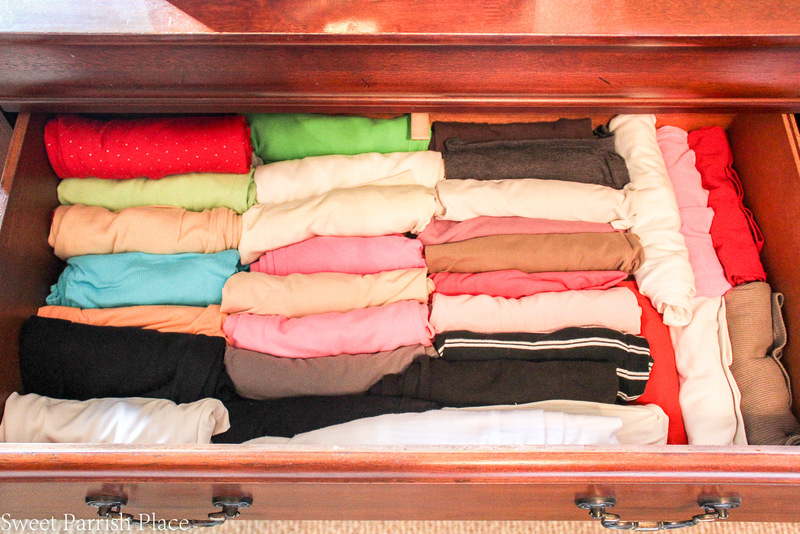 I wanted to share how I store my tank tops in my dresser drawer. It is so simple, and making this small change has been working splendidly for me for a couple of years now. Before, I used to have my tank tops hanging on hangers in my closet. But we have a small closet, and I was looking for ways to gain space in the closet, so I decided to move my tank tops into a drawer. I always roll my clothes when I pack a suitcase, and I decided to give it a try in my dresser. Can you believe I have 40 tank tops rolled up in this one dresser drawer?? And I have plenty of room to add another layer if needed, maybe even two more layers. I use these tanks for layering under tops, and it is so easy to open my drawer now and find exactly what I am looking for. And storing my tanks this way freed up so much space in my closet! You can read more of my packing tips and tricks here and here. 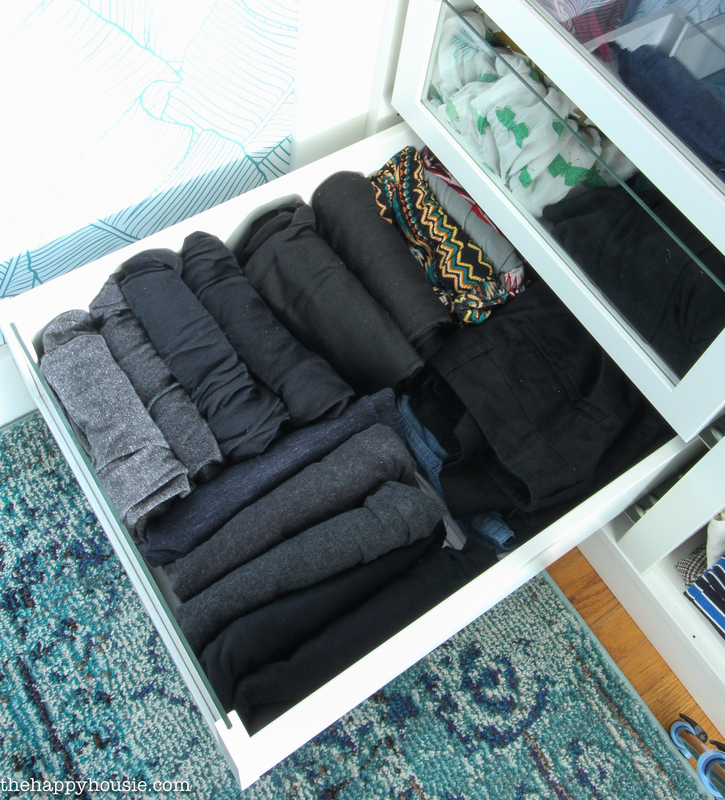 I love this next idea that Krista shared on her blog for how she stores her leggings in a way that takes up the depth of the drawer instead of on top of each other. That way she can see everything. I think I am gonna give this a try with my own leggings. I like it! 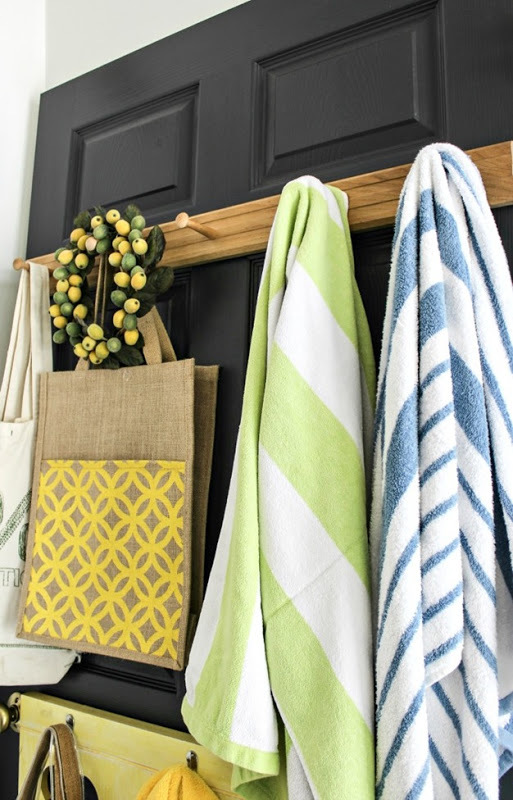 My sweet friend Lynn shared a great tutorial for how to DIY these wooden drawer organizers in her kitchen. 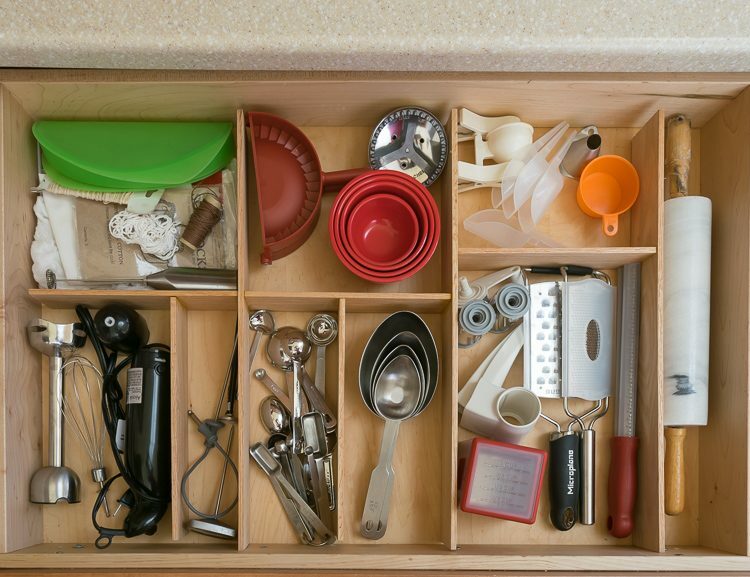 What a great way to whip your kitchen drawers into shape! If you want a less expensive option for drawer organizers, check out this tutorial for making them yourself using cardboard boxes. 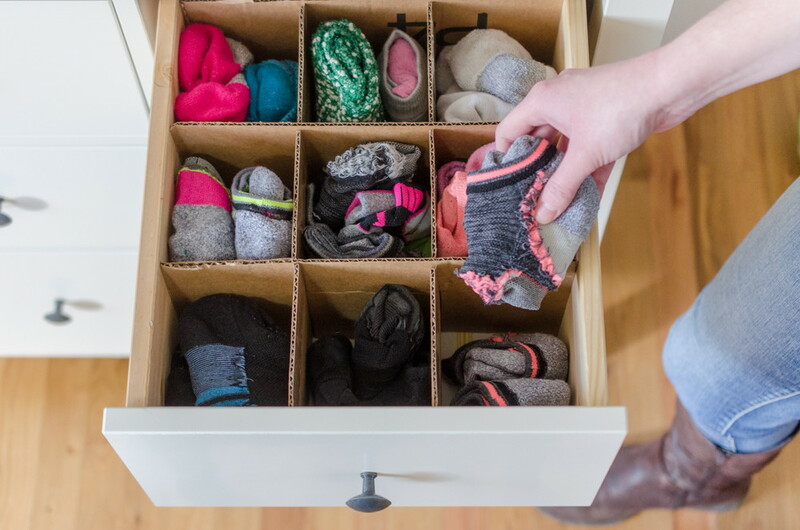 I really love this idea for organizing socks. 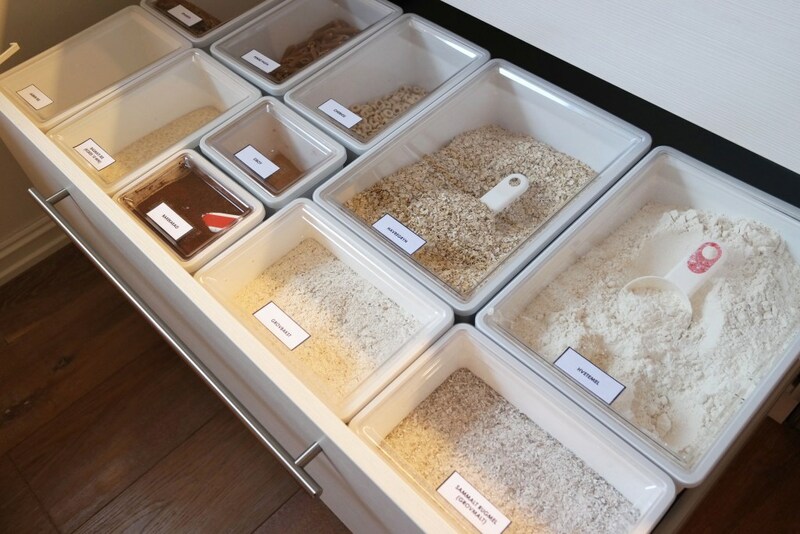 And this idea for how to organize dry food in a kitchen drawer using Ikea dry food containers might be my favorite of all. Look how clean and tidy this drawer looks. 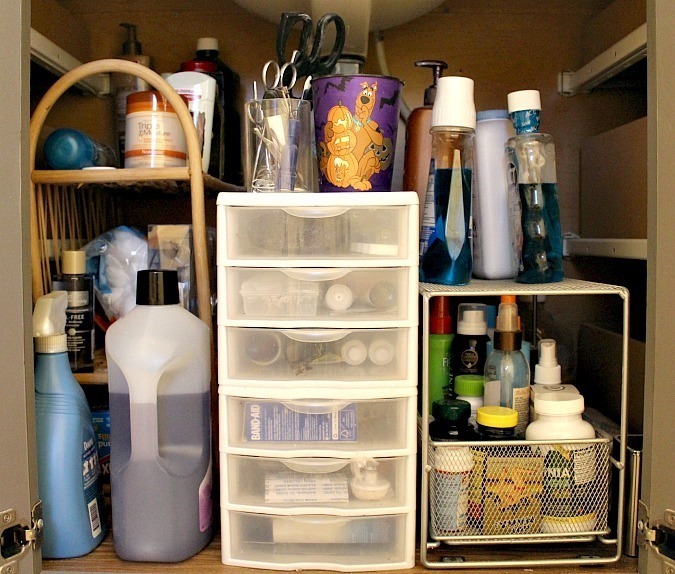 and a great idea for someone who has little or no pantry space. 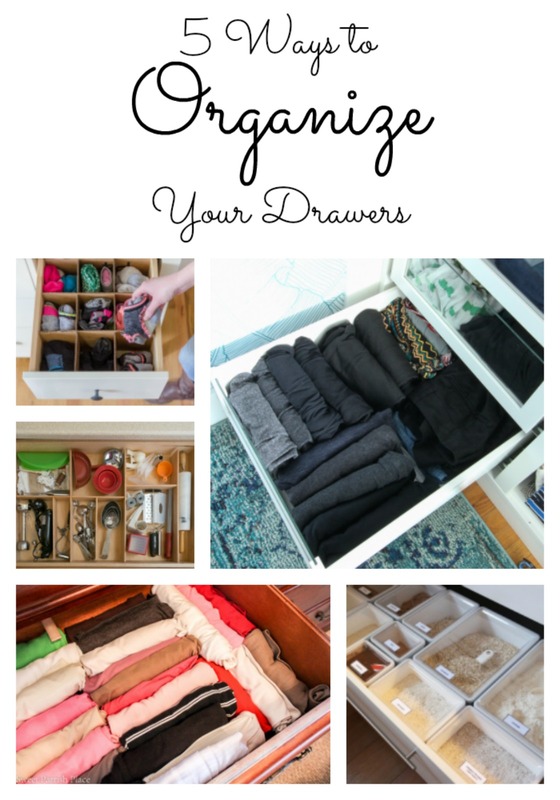 I love all of these ways to organize your drawers, and I just might spend a little time this weekend getting some of my own drawers in shape now that I am inspired by writing this post! I encourage you to spend a few minutes this weekend to get just one of your drawers more organized. You would be surprised at how much better you will feel, and how much time it can save in the long run from searching for things. I hope you enjoyed this first installment of Clean and Tidy Friday! Thanks for stopping by my blog today, and please come again soon! Have a great Labor Day weekend! Hey Nicki! These are great tips! I am excited to feature them as my rockstar pick for this week’s creativity unleashed party.. coming up on Thursday! have you got any ideas on how to organise a drawer that has all sort of sweets in from polo’s to haribos. Most of the packs are open.